This Site is operated by Psoda Limited trading as Psoda, registered in New Zealand with registered address: 13 Marama Terrace, Eastbourne, Lower Hutt 5013, New Zealand. We take your privacy very seriously. For the purposes of New Zealand’s Privacy Act 1993, and, if you are based in the European Union, the General Data Protection Regulation ( GDPR), this Policy is intended to provide you with clear and transparent information about how we will treat the personal information that we process. Please read this Policy carefully. We may change this Policy from time to time and the change will take effect once the revised Policy is available on our home page. We will notify our customers, License Administrators and Users of any material changes which you can review as the updated Policy. other persons who are visitors to our Site, engage with us, who we target our Services to, or whose personal information is submitted by Users into the Services, provided those other persons are natural persons ( Third Parties). invoicing details including, credit card and/or other payment method information, tax numbers, and bank account numbers ( Payment Data). any evaluation of the Services we receive ( Evaluation Data). personal information submitted to the Services by Users, which may include information about correspondence with, the purchase goods and/or services from, or participate in promotions of advertisers or sponsors showing their goods and/or services through the Services ( User Submitted Data). the data subject has authorised the collection of their personal information from someone else (for example, when personal information of a Licensed Administrator or User is provided to Psoda by a Customer for the purposes of that Customer’s use of the Services). We collect the personal information outlined in this Policy when people register for, and use, the Services or the Site, through cookies on the Site and Services, using analytics tools imbedded in the Site and Services, and directly from people (including via web forms or similar methods of input on the Site, and information provided to us by email, phone, or in person). to personalise marketing and advertising, and to canvass for prospective customers. We process User Submitted Data but do not determine what specific personal information will be transferred to us. User Submitted Data transferred to us from Users is processed by us for the sole purpose of providing the Services to the relevant customer. to manage any disputes (including disputes over invoices or delivery of Services). to process User Submitted Data for the sole purpose of providing the Services to the relevant customer. If you are EU based you have the right to object to the way Psoda processes your personal information where the processing is based on legitimate interests. For more information see “Rights of EU based persons” section below for further details. We will process your personal information securely using technical and administrative security measures that reduce the risk of loss, misuse, unauthorised access, disclosure or alteration. Please note that personal information may be transferred via the internet. The internet is not an inherently secure system, and we cannot guarantee the security of personal information transferred via the internet. We will securely delete personal information held in connection with a customer use of the Services in accordance with any Subscription Agreement and when we are no longer required to comply with any legal obligations that necessitates the retention of personal information. Notwithstanding anything in this Policy, we may retain personal information in an aggregated and non-identifying form. direct marketing providers, when we use such providers to send you information from time to time about Psoda and the products and services that we provide. If you do not wish to receive information from direct marketing providers then please state this when you send your enquiry, or write to: The Data Protection Officer, Psoda, PO Box 24158, Wellington, New Zealand. Psoda will transfer your personal information to Psoda in New Zealand, and that the appropriate safeguard in place for such a transfer is an adequacy decision under Article 45 of the GDPR. You have the right to access and correct the personal information that Psoda holds about you. Please contact The Data Protection Officer, Psoda, PO Box 24158, Wellington, New Zealand for an application form. We may require you to provide verification of your identity and to pay an administrative fee to provide a copy of the information that we hold. Please note that in certain circumstances we may withhold access to your information where we have the right to do so under the NZ Privacy Act 1993, for example, where disclosing the information may reveal the identity of a third party. object to processing where Psoda is relying on its legitimate interests as the basis for processing and at any time to processing of personal information for direct marketing purposes. withdraw your consent to our processing of your personal information if your consent is being relied on by Psoda. 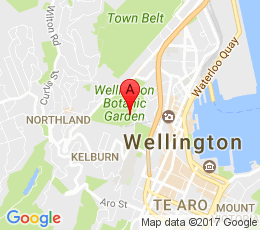 If you wish to exercise your rights, please contact the Psoda Data Protection Officer, Psoda, PO Box 24158, Wellington, New Zealand. Psoda may require you to provide verification of your identity. 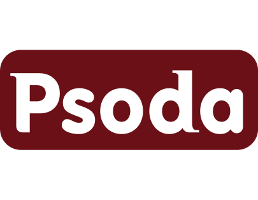 Please note that in certain circumstances Psoda may refuse to respond to a GDPR rights request where it has the right to do so under the GDPR, for example, where a request is manifestly unfounded or excessive. Please also note that, if we are unable to collect or process your personal information, your use of the Services and the Site may suffer from reduced functionality, and certain features of the Services and the Site may be disabled. Further, where we are not, or are no longer, in a position to identify you within the information we hold (including because of any de-identification techniques we have employed), then your rights described above may no longer apply.